It is often necessary to have an Armco Barrier Handrail combined system which has a handrail at 1100mm high over the top of the crash barrier beams to comply with regulations and standards. Both Armco Barrier and Open Box Beam Systems are available with tubular post extensions to facilitate an integrated handrail at a finished height of 1100mm. This is ideal when the barrier is installed along side a pedestrian walkway. 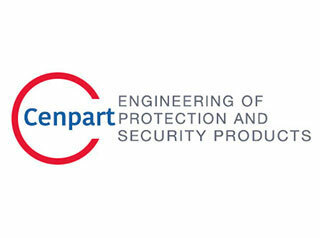 Cenpart’s standard Integrated handrail system utilizes “Ball Standard” type fittings and 48.3mm diameter tubing. We can also provide for 42.4mm diameter handrail and supply with Clamp Type handrail Fittings if required. When an Armco Barrier Handrail system is installed in a public place, the handrail must finish 1100mm above the highest foothold. This is especially necessary on multi storey car parks where children can climb on them. By fitting an anti climb mesh to encase the front of the barrier, footholds are removed meaning that the handrail can be set 1100mm above the ground and not 1100mm above the top of the barrier where it would be useless. As with handrail, both Armco Barrier and Open Box Beam Systems are available with mesh infill. Upper panels fill the gap between the top of the barrier and the handrail and prevent people, particularly children, climbing through. The Lower panels fill the gap between the bottom of the barrier and the ground and besides preventing access, have the added advantage of stopping litter blowing through.